The lovely Natalie at The Yarn Yard started a bloggy thing called "Making Monday" a couple of weeks ago, to encourage folk to share what they make. I wanted to join in before, but various things have got in my way. This week, however, I actually managed to make stuff, despite the best attempts of my physiology to get in the way. 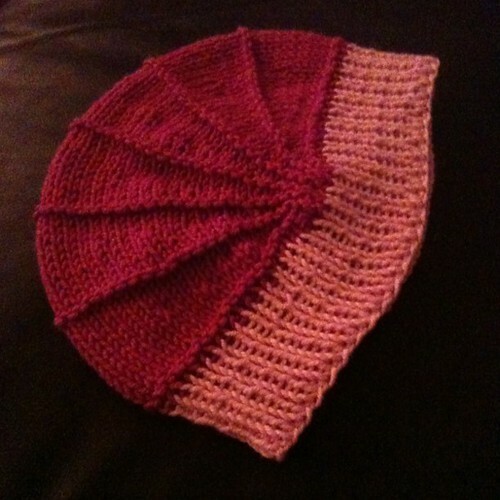 Yesterday, I finished making a hat that I started (for the first time) several weeks ago, and screwed up several times, before finally getting it near enough right. It's for the first of the babies born to our antenatal group, and it felt like a huge achievement to finally get it done. The Pattern is Poppy by Justine Turner (Ravelry Link - requires login), and it charms me so much I have no problem with the idea of repeating it several times, in different colourways, for several babies. Today, breaking from the (recent) norm, was a good day. Not brilliant, but better than I've had in a couple of weeks, and it was very welcome. Today, I madefinished two things. 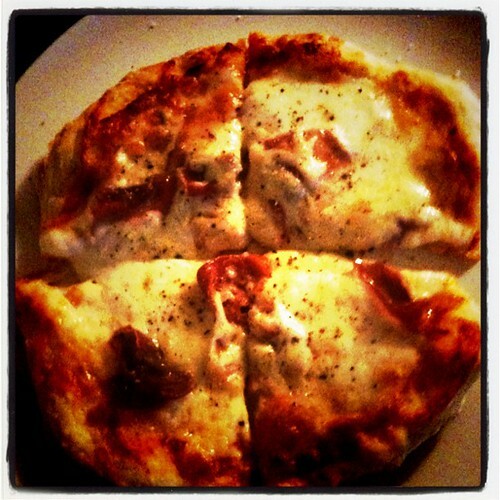 I made pizza, using a chunk more of the home-made pizza dough (Jamie Oliver's recipe) that I made a couple of weeks ago. It was really good. 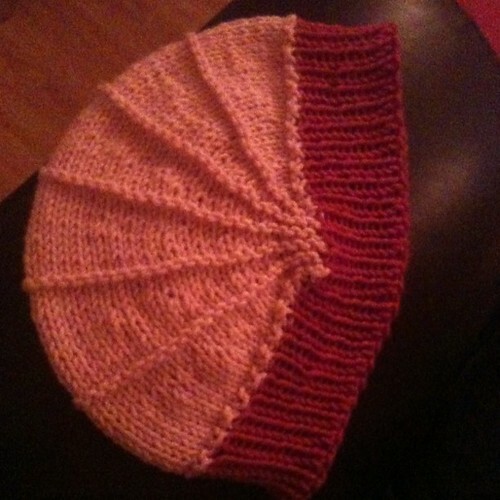 I also managed to start and finish another hat. I'm now only one hat behind for the antenatal group. Hopefully, I should be able to finish the third before Saturday, when I'll hopefully get to see everyone (and the newest addition to the group) and hand them over. Mostly, however, I've been working on something much bigger. 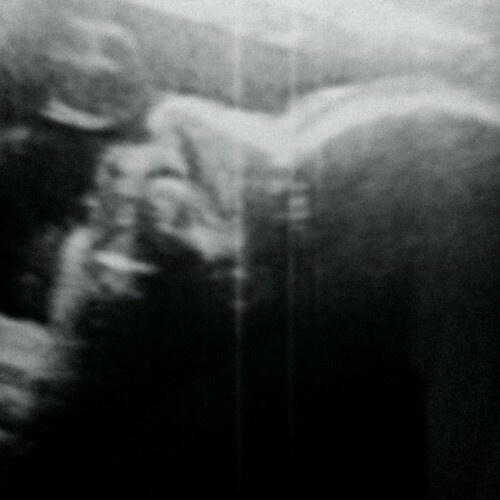 Mostly, today, I've been working on growing a person.